Many of us recall fire safety education that included the advice that you drop to the floor and crawl in the event of a significant blaze. The reason behind the advice — Smoke inhalation is one of the biggest dangers in any fire and smoke rises. 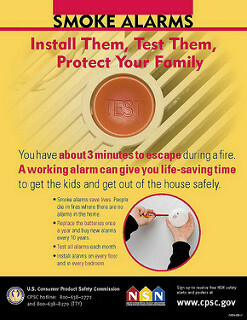 Whether it is a home fire or a wildfire, smoke is always a threat. When a fire is caused or exacerbated by human negligence (or all-out wrongdoing), victims of smoke inhalation in Northern and Central California can count on our San Francisco fire injury law firm for help recovering compensation for their injuries. ABC7 notes that doctors are particularly concerned about the impact of smoke on people with pre-existing issues like asthma or COPD. These individuals are advised to stay indoors, close windows, and set their air conditioners (in cars and homes) to recirculate mode. Doctors also advised reporters that the general public should be cautious about outdoor exercise, even as the haze dissipates as it spreads further north and east. As of the article’s publication, the wildfire has also led to several road closures. 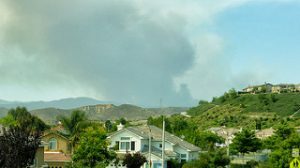 Additionally, some 300 residents of Palo Colorado have been evacuated from their homes and fire officials have warned many others to leave as well. Our thoughts are with all of our fellow Californians as the fire continues to rage. Smoke inhalation is a major concern in any fire, including both wildfires and residential fires. A 2011 study by the National Fire Protection Association (“NFPA”) found that smoke inhalation outnumbered burns as the cause of all fire death by a 2-to-1. When only residential fires were examined, that ratio increased dramatically to 8-to-1. While a change in reporting to allow multiple causes to be recorded has made statistics shift, the NFPA says the gap between smoke inhalation fatalities and burn deaths has been steadily widening for at least twenty years. Smoke inhalation can also cause non-fatal injuries. WebMD reports that symptoms of smoke inhalation can include cough, hoarseness, shortness of breath, headache, and even changes in mental status such as confusion, fainting, coma, or seizures. The website warns that symptoms can worsen quickly and advises anyone who has suffered smoke inhalation receive medical care immediately. Fires have many causes. Home fires may be caused by shoddy workmanship, a defective product, or even a neighbor’s stray cigarette or unattended candle. While wildfires often have natural causes, we have seen cases in recent years where human negligence or wrongdoing sparked a major blaze. Likewise, human factors can exacerbate a fire that should have been contained such as where a landlord does not provide sufficient working smoke detectors. If you or a family member has suffered smoke inhalation in Northern or Central California and you believe a person or company is to blame, call our San Francisco smoke injury lawyer at (800) 427-7020. We can help fire victims and their families get compensation for their injuries. We have fire injury law offices in Oakland, San Francisco, and Santa Rosa and we serve the entire Northern California region as well as parts of Central California.